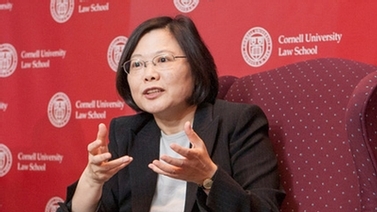 Is China the New Superpower? 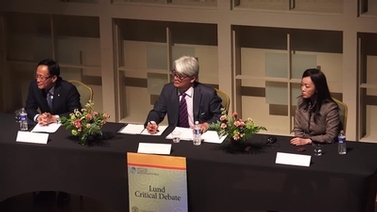 The 2012 Lund Critical Debate took place on Wednesday, November 14, focusing on the rise of China, under the title "Is China the New Superpower?" The speakers are David Lampton, Dean of Faculty, George and Sadie Hyman Professor of China Studies, and Director of the China Studies Program at Johns Hopkins School of Advanced International Studies (SAIS), and Aaron Friedberg, Professor of Politics and International Affairs at Princeton University. 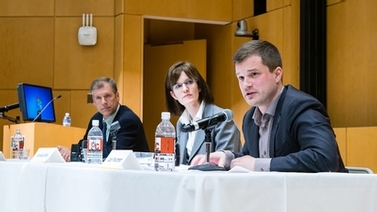 Allen Carlson, Professor of Government at Cornell University, served as the moderator for the event. 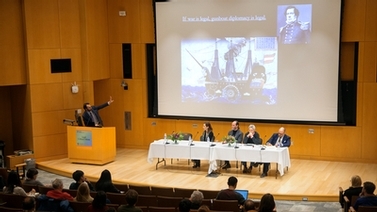 The annual Lund Critical Debate Series is part of the Einaudi Center's Foreign Policy Initiative.